What are the seven COBIT 5 enablers, and how can they boost your IT performance management practices? Good e-Learning’s Mike takes a look at the enablers of the COBIT framework, how they are applied and the value they offer to IT-driven businesses. Contact Good e-Learning today to find out more! 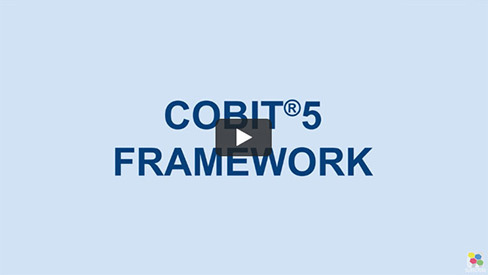 The COBIT 5 enablers are key to the frameworks’ proven approach to performance management. In this video, Mike from Good e-Learning takes a look at what the COBIT 5 seven enablers are and how they are used to enable effective IT governance. Good e-Learning offers an award-winning portfolio of Business and IT training courses, covering the likes of Lean, Six Sigma, TOGAF, ITIL and, of course, COBIT 5. Our IT Governance & Compliance courses include COBIT 5 Foundation and COBIT 5 Foundation & GDPR Implementation, both of which lead to valuable certifications which can help students to not only improve the value of their IT practices, but also to take the next step in their careers. Interested in learning more about our online courses? Browse our full portfolio of Business & IT courses or visit our FREE downloads area for a wide range of posters, whitepapers, case studies and more from leading industry experts.